Editable Football Tag Topper Printable PDF file! Printable is 8.5x11. 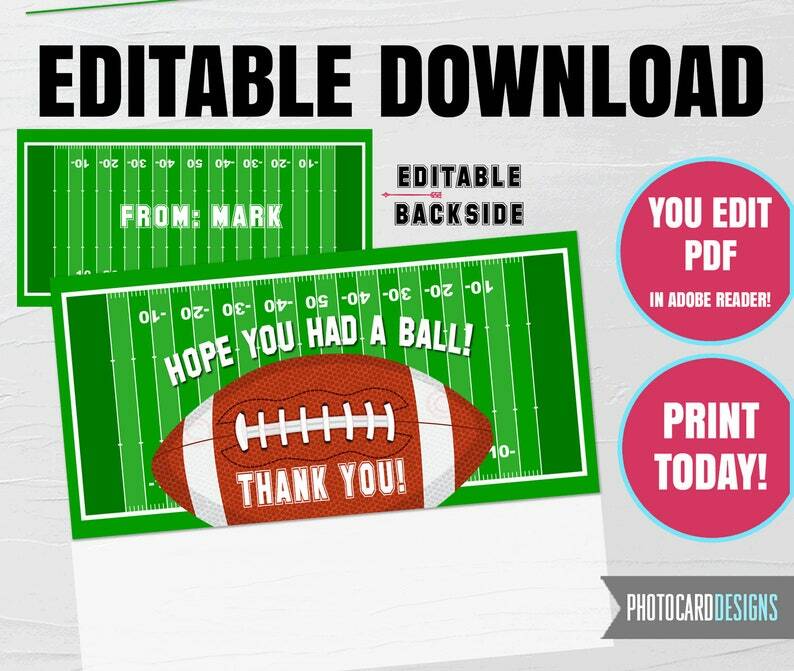 **To make PDF as simple as possible - "THANK YOU" and "HOPE YOU HAD A BALL" are NOT editable. * Graphic and Design can NOT be changed- Only SOME TEXT - Not all text. 6. Open the PDF tag file in Adobe Reader. The easiest way to do this is to double click on your PDF file and it will open in Adobe Reader. 7. After the Tag is complete, save the file and Print.